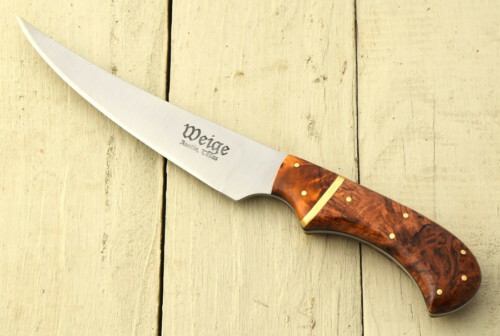 No knife is as versatile as a 6″-7″ blade. 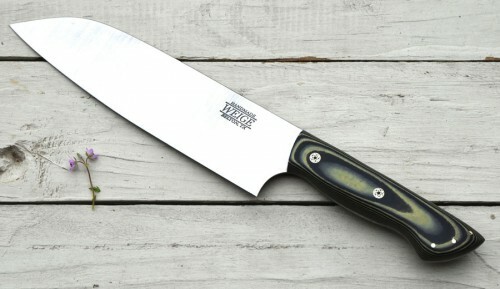 This one of a kind French cut chef knife has a 6.25″ blade and is 11″ overall. 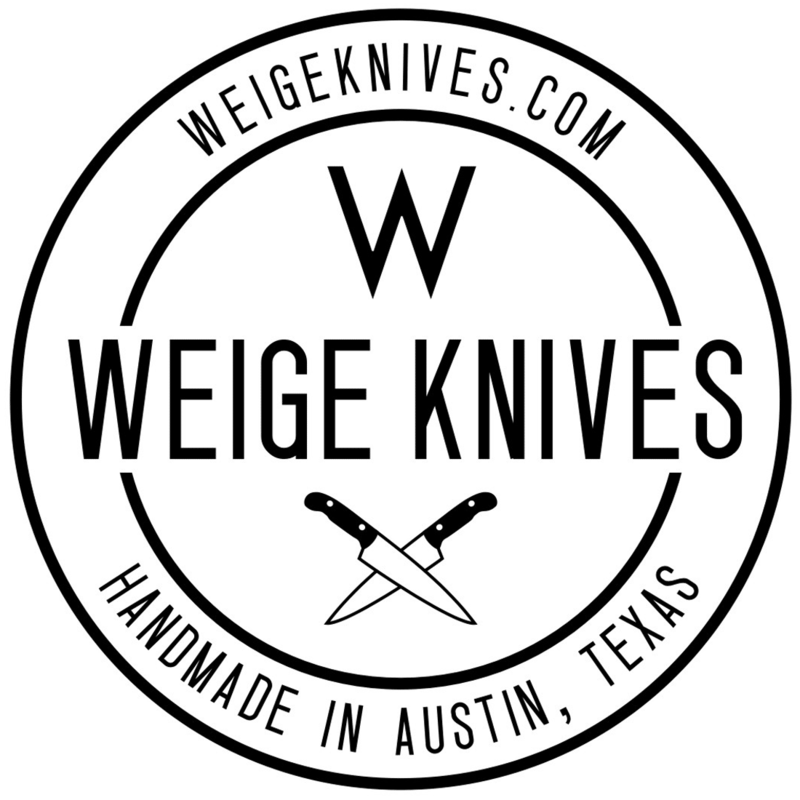 The blade is done in S35VN American made stainless steel. 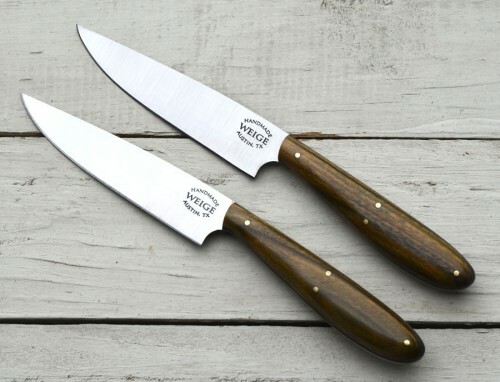 S35VN is a high carbon steel (1.55) and is classified as an American super steel designed for high end cutlery as it holds and edge longer. The handle is done in stabilized fiddle back Asian Satinwood w/ a ghost white liner. The pins are handmade mosaics done by Sally Martin in Williams, OR. One of a kind, never to be made again. Free shipping.